Can a Dimensioning System reduce your warehousing and shipping costs? If so, how do you get the most for your investment? 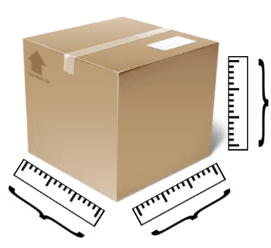 Simply put, dimensional weighing systems efficiently automate the process of determining package size/shape and weight in conjunction with your shipping system. The optimal system for your operation will depend on shipping volume, size and type of items shipped and level of investment you wish to make. Companies that ship as few as 100/day find that an investment in a dimensional weighing system is well worth the expenditure. The list above is obviously just a summary and there’s more to unpack here than can be addressed in this blog post. If you’d like to dig deeper and learn the specific savings in each of these areas, check out this white paper: Dimensioning Systems: Getting the Most for Your Investment. It details how savings are realized for each of the bullet points above including how carriers are using the “black box” of dimensional-weight calculations to increase your overall spend. In addition to details on cost savings, this white paper includes a guide to the 10+ Essentials to Look for in a Dimensioning System. After reading this white paper, you’ll be well-versed on what a dimensioning system can do for you and better equipped to evaluate the best system for your needs. If you’d like a customized assessment of your needs, projected savings and investment requirements for your situation, contact Paul at paul.johnson@comp-mail.com or 303-761-0681 x211 and we’ll have a specialist provide a plan tailored specifically for your requirements. Can A Turtle Become A Gazelle? Today’s companies are in transition. Mailroom processes have reached a tipping point between old school “turtle” thinking entrenched in “business as usual” and progressive “gazelle“ thinking that is focused on flexibility, speed, responsiveness and efficiency. With increased labor and processing costs, strict legal requirements concerning customer privacy (e.g., HIPAA and Sarbanes-Oxley), steep penalties for non-compliance, and customers expecting responsiveness, companies can no longer afford to fall back on old school thinking by hiding in their shells. Increased efficiency – eliminates slow, manual processes that lead to errors, mismatched documents, privacy breaches, and high handling costs. 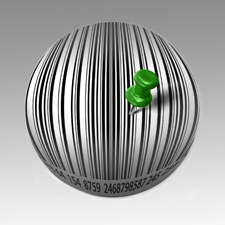 Visibility and tracking – barcode technology groups documents by customer and reports the status of individual mail pieces. Cost Savings – combines multiple communications into one mailing based on the individual, which saves significant postage costs. Security – automated processes ensures accuracy and eliminates the risk of private information being exposed. Process Integrity Solutions increase operational efficiency, eliminates error-prone manual processes and ensure a superior customer experience. What are some of the components of a Process Integrity Solutions suite? Working in tandem, PIS can dramatically transform your mail center and improve financial performance as well. A turtle can become a gazelle. Want an overview of other ways you can improve your mail center? 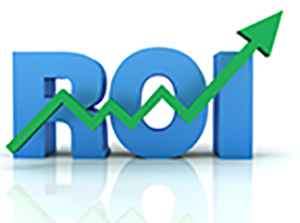 Read this white paper on How Your Mail Center Can Improve Your Financial Performance. You’ll learn more about the various areas of a mail center that can improve your company’s flexibility, speed, responsiveness and efficiency. Oh, the humble folder/inserter. No one gives it much thought. However, it’s an unsung hero for saving both time and money for your organization. Pulling staff from day-to-day tasks to help stuff envelopes, causing delays in other projects? Paying for temps to help process statements or mailings so your staff can stay focused on their work? Processing multiple page invoices or statements manually? On average, an office worker can manually stuff 2 inserts in about 95 envelopes per hour, compared with a minimum of 1,350 envelopes on an entry-level machine, or up to 12,000 envelopes on more sophisticated models. Matching, folding and inserting multiple pages by hand reduces that average exponentially. 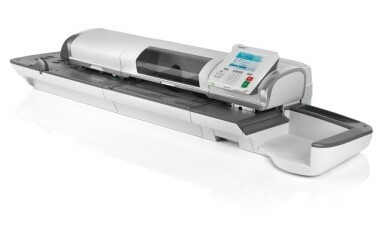 A folder/inserter, working in tandem with output management software, provides greater flexibility, accuracy, cost-efficiency and timeliness when sending communications to your customers. The need to handle communications with varying number of inserts manually is a thing of the past. Technology adapts automatically, so you can tailor communications to specific customer groups on the fly. 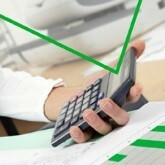 Want to quickly identify areas for potential cost savings and productivity improvement? Check out our Labor Cost Comparison to better understand the savings available with a folder/inserter. It includes an ROI Calculator to help you determine specifically how much you can save. How have you improved profitability in your company? Share your experience with us! Would your business survive a malware attack? If your business were struck this afternoon by a malware attack, how would it fare? At first brush, most executives would be inclined to say they’re prepared. Upon digging further, many would find that they have vulnerabilities that could be quite disruptive and costly. How well are you protected? How would you recover if successfully attacked? The former has to do with protection and prevention and the latter with recovery or what is often referred to as business continuity. Each of these is an extensive topic and can’t be given their just due in one article. However, we’d like to provide insights into business continuity, helpful resources and actions you can take to move your company closer to the ideal of being able to recover without missing a beat. The frequency and effectiveness of malware attacks are growing at an alarming rate. This is placing ever more importance on business continuity to the point where it is now a business imperative. Is a good backup strategy sufficient? This is an important point to consider. It primarily boils down to what you define as sufficient. How long would it take to recover using on site backups? Hours? Days? What would that cost you in direct and intangible costs? The eBook, CEO? Here’s Why You Care about Business Continuity and Disaster Recovery, is a helpful guide for executives to assess the risks and costs of downtime. comparing and contrasting the two. Privacy Compliance… are prying eyes viewing private information? The current privacy compliance pressures facing businesses in many industries, from healthcare to finance and manufacturing, have resulted in a heavy focus on the high-tech areas of IT and data security. But there is an often overlooked low-tech area that represents a prevalent risk, and it’s one that can be mitigated relatively easily and inexpensively. Are your document handling and billing systems putting you at risk? Mail handling, billing and customer communications are functions that have been around seemingly forever. 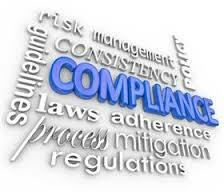 Consequently, companies often mistakenly believe that they have these areas “handled”. Yet these are areas where customer privacy can be put at risk on a daily basis. What if these risks could be fairly easily and inexpensively mitigated? Further, what if addressing them also resulted in reduced costs and increased operational efficiencies? Implementing processes and software to properly handle customer information and customer communications can deliver these results. Mail processing systems that do not prevent combining statements or invoices for two different customers. You’d be surprised how often this happens and how easily it can be avoided. Mail being handled in a publicly accessible area by a secretary or receptionist. If so, you’re not alone – this is a common practice and one that often puts customer information unattended within public view. Mismatched or “problem” mail left exposed in a public area while problems are being solved. Not only is this process out of compliance but wastes valuable employee time to correct. Manually handling client documents with different numbers of pages and inserts. This not only exposes private information to workers but is extremely inefficient and error prone. These are just a few of the many areas where businesses put themselves at risk on a daily basis. Want to do a quick check to determine areas where you might be at risk? Download this free compliance checklist to identify often overlooked areas of exposure that may need attention. Another great resource is the white paper from Neopost on How to Ensure Your Organization’s Mail Process is Compliant. It includes 8 best practices for mail compliance. Interested in digging deeper? Learn more with our complimentary document handling compliance and cost reduction assessment. Drowning In Rising Shipping Costs? Both UPS and FedEx have announced their General Rate Increase (GRI) for 2017. For the first time, there are differences in how each carrier is approaching their increases. Here are some highlights of the changes shippers will encounter as well as some strategies on managing the increases.For the first time, UPS will be increase the majority of their 2017 rates on December 26th, which will impact shippers with post-Christmas returns. The basic rate increase that averages 4.9% (packages in the 1-10 lb range are typically higher). UPS will now be assessing Additional Handling Surcharges on packages that are 48” or more ion the longest side (from t 60”) on Ground, Air, and International packages. Additional Handling Surcharges will increase $.35 and will now also be applied to UPS’ more economical SurePost packages (packages that ship UPS but are delivered to their final destination by the USPS). The surcharge will go into effect on January 8, 2017. FedEx will increase their rates on January 2, 2017. The change reflects an average 3.9% increase on domestic U.S. domestic, import and export services. FedEx is changing their domestic dimensional weight multiplier from 166” to 139” (dimensional weight is calculated by multiplying the length x width x height then dividing by the multiplier – 139). FedEx will adjust their Fuel Surcharge on a weekly rather than monthly basis. Industry experts suggest this indicates FedEx is anticipating higher fuel costs next year and want to reduce the impact on their revenue. When Does a 1-Lb Parcel Weigh 11 lbs? No it’s not a trick question but it might depend on the date. Dimensional pricing has had a significant impact on the cost of shipments because pricing is based on dimensions rather than weight. Essentially a 1-lb package is no longer a 1-lb package! Cost Comparison of a 12” x 12” x 12” Package Weighing 1 Lb. As rates and surcharges steadily increase, it’s no longer feasible to be lax about how items are packaged and shipped. Package as many items in a single container as possible as well as use the smallest box possible to ship the products. This will not only reduce the cost of packing materials but the actual cost of the shipment. With the divergence of pricing strategies between UPS and FedEx, it is more important than ever to shop for the best rate (especially with weekly fuel surcharge adjustments at FedEx). Incorporate rate shopping tools such as NeoShip, ProShip, and EMS that not only identify the best shipping rate but provide greater visibility of your shipments progress. Contact us today for a Free Assessment of your shipping needs and more ideas on how to better manage them –303-761-0681. Ransomware utilizes malware (malicious software) to make data or your computer’s operating system unreadable or inaccessible. It demands payment to unencrypt affected files or systems. However, even if the ransom is paid, there is no guarantee ransomed items will be released. According to the FBI, Ransomware attacks are not only proliferating, they’re becoming more sophisticated. Read the full FBI article here. In its simplest form, Ransomware has been around since 1989 represented by the AIDS Trogan virus, which was distributed via floppy diskettes (remember those?) sent to World Health Organization’s international conference attendees. When the computer containing the virus was rebooted, files were encrypted and the ransom demand was made. Users paid $189 in ransom. It didn’t take long for decryption tools to recover the files and stop the attack. Ransomware became more prominent around 2006 with a Russian-based extortion plan by organized criminals called TROJ_CRYZIP.A. This version placed files of a certain type into a password-protected ZIP folder and deleted the originals. Victims were directed to pay $300 to an E-Gold account (a precursor to Bitcoin). Ransomware really began to explode in 2013 with the first widely-recognizable crypto-ransomware called CryptoLocker. This form of ransomware made the recipient’s computer virtually unusable by encrypting all files. CryptoLocker was delivered through downloads from compromised websites, phishing and email attachments. It was extremely sophisticated and utilized Bitcoin for payments. Spinoffs of CryptoLocker, Onion, Reveton, Jigsaw, KeRanger (the first official Mac OSX-based ransomware), CryptXX and others, make it clear that that ransomware will continue to increase in sophistication and range. Delivery methods will expand as will types of machines affected and ransom amount. In fact, reports this year indicate Android phones are now at risk. There’s no end to the extent cybercriminals will utilize to take your money. 1. Keep your system backed up on a regular basis so you can restore your computer to a known clean state. 2. Utilize a strong and reliable security system that can identify and block ransomware threats. 3. Keep your software updated. Patches are constantly being added as viruses and ransomware are being identified. 4. Perform a full network scan to identify infected computers – isolate compromised equipment until they are complete clean before putting back into service. 5. Show hidden file extensions so you can spot a potentially suspicious file. Often “EXE” files can contain a virus. Always be wary of EXE files sent via email attachments. 6. If at all possible, don’t pay the ransom. This not only encourages the cybercriminals, but may place you in an even worse situation. There have been plenty of cases in which a decryption key was never provided or did not encrypt all files. To learn how to protect yourself, get your free copy of the The Guide to CryptoLocker Prevention and Removal today. Whether you ship 2 or 2,000 packages a day, you are impacted by dimensional pricing on all ground shipments that went into effect in 2015 with UPS and FedEx. FedEx® and UPS® are now enforcing dimensional pricing on all ground shipments, including those weighing less than 3 pounds. Packages that are 3 cubic feet or less are most affected by the change. For example, the cost to ship a small box of cups weighing three pounds and measuring 17x17x17 inches could jump from the current $8 to more than $18 in January. A 2lb. package of light bulbs with dimensions of 10x10x10 inches could increase from $8 to $10 – a $25% increase (Parcel Industry, June 18, 2014). Dimensional pricing is based on the volume (length, width and depth) of a package rather than the weight. UPS and FedEx instituted dimensional pricing in 2015 as a way to regain revenue that was lost because shippers were using large sized boxes (volume) containing small, lightweight contents. These boxes took more room on their trucks but the cost (based on weight only) did not compensate for the space they took. While this approach helps FedEx and UPS regain significant revenue, shippers are feeling the pinch. Whenever possible, ship as many items as possible in one box. It is no longer cost effective to pay for “air” when a small item is shipped in an oversized box. Multiple items in each box will increase cost efficiencies. Many shippers stock a limited number of carton sizes, then fill any negative space with packing material. However, with the Dimensional Pricing rate structure, consideration should be given to incorporating a broader array of box sizes. Using smaller boxes that reduce or eliminate “air” will not only keep shipping costs lower but will also provide savings on packing material. If you ship a significant number of boxes per day, consider automated systems that fit the box to the contents. These systems virtually eliminate any unused space. Another option is to use padded envelopes or Tyvek® bags if they can accommodate the contents of your shipment. These are lightweight, low-volume options that can reduce shipping costs. Shippers used to have the option of including package dimensions in their shipping systems on cartons that are 3 cubic feet or less. However, package dimensions are now mandatory. Exclusion of the dimensional data could result in a 20% – 100% penalty, depending upon the actual dimensions of the package. With rates being updated on a regular basis, it is important to make sure your rating software is accurate. It is virtually impossible to go back to a customer and try to recover incremental shipping charges, so avoid a potentially a significant hit to your bottom line by doing regular “spot checks” of rates. When you include dimensions in your shipping system, it should return accurate pricing right away. If not, or if it’s too time consuming, contact us at 303-761-0681 for assistance with navigating these changes. Shipping Volume –this is the sheer number of packages you ship. The higher the number the greater your ability to negotiate a discount. Urban vs. rural delivery points – generally, the more concentrated the delivery area, the more cost-efficient it is to deliver the packages. Some of these savings can be passed onto the shipper. Shipping from single vs. multiple locations – a limited number of shipping locations can be an advantage, especially if you are shipping a high volume of parcels. Delivering to few vs. many destinations – again, this helps focus shipper’s resources and can save you money. 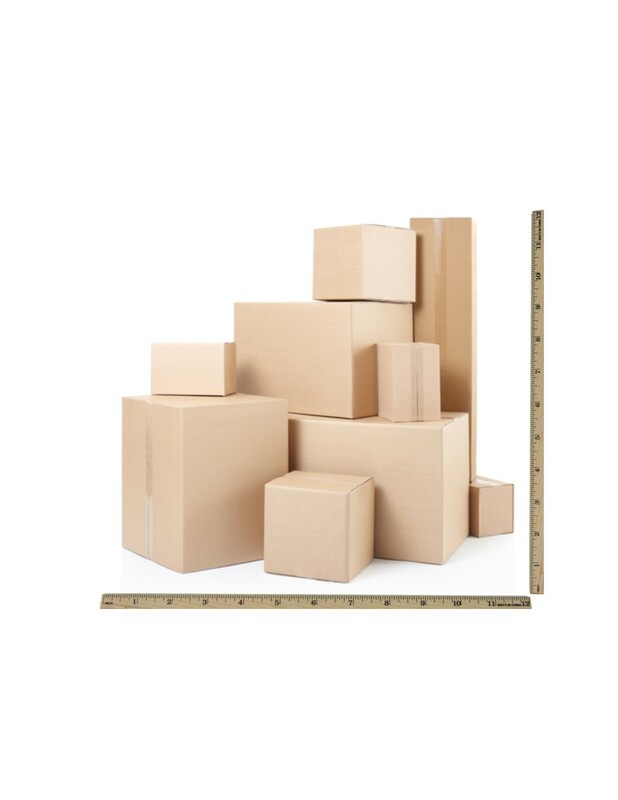 Package size variations – having fewer standard package sizes helps FedEx & UPS because they can maximize their loads. Keeping the competition in play – don’t keep your eggs in one basket. Shippers may be more motivated to work with you knowing the competition might replace them. Generally the holidays are not a good time to negotiate rates. Hold off and initiate negotiations when UPS and FedEx will be more open. 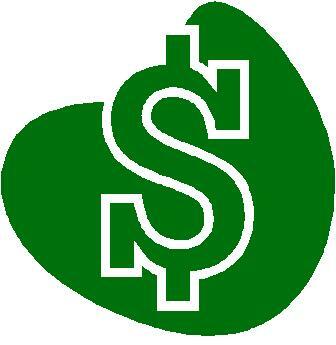 For more information on ways to manage your shipping costs, call us today at 303-761-0681. We often come across companies who obtained new postage meter machines that they thought fit their needs only to find out they did not perform as expected or there were costs were higher than expected. Let’s take a look at each area. Consider daily/weekly/monthly/seasonal mail volumes. Your mail machine should easily handle your highest volume needs – don’t expect a low volume mail machine to handle heavy volumes. Manual vs. automated feeding – The more automation during feeding, the faster mail can be sealed and imprinted with postage. Automation can reduce processing time up to 36%. Consider the types of mail pieces you use – standard, oversized, flats, thick? If you mail large pieces, be sure to get a wide deck so mail transports smoothly. If you have a variety of mail pieces, look at differential weighing. Depending upon the type of differential weighing you can reduce the time to affix postage by 100%. Determine whether you will need to chargeback postage to internal departments or clients. You’ll be living with your mail machine for many years so know what your costs will be. Beware of low monthly rates. Vendors often increase the price up to 25% each subsequent year. CMS’s leases remain unchanged through the life of the lease. Charges to reset (add) postage onto your machine (initially and over the life of the lease) can add up. Our most satisfied customers have a Preventive Maintenance program as part of their lease to ensure limited/no down-time. If you opt out of a maintenance program, understand service charges (this can be a flat or hourly rate and include a trip charge and mileage fee). Costs vary for each of these options. Call CMS for more information. Online tools provide account visibility, invoice payment options and reporting. This is an invaluable time-saver. Support after the installation of your postage meter machine is critical. Who (if anyone) will install and provide training on your new postage meter machine? Is there a local resource providing help with problems or must you call a national (or international) Help Desk? Will service be handled locally or remotely? 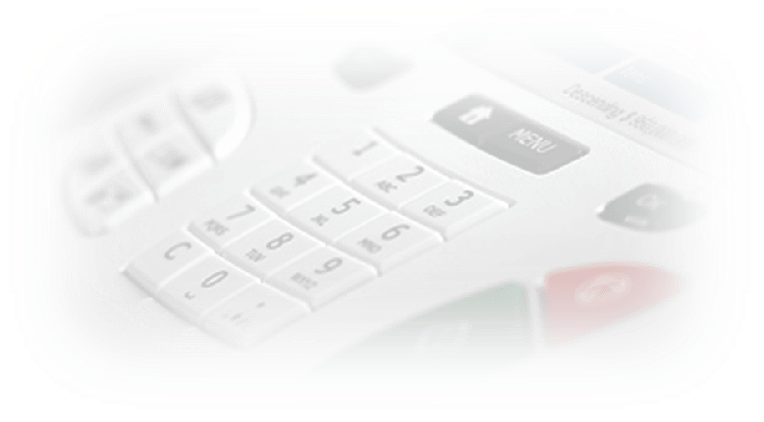 Complete Mailing Solutions (CMS) is a local resource providing training and personal help every time you call. 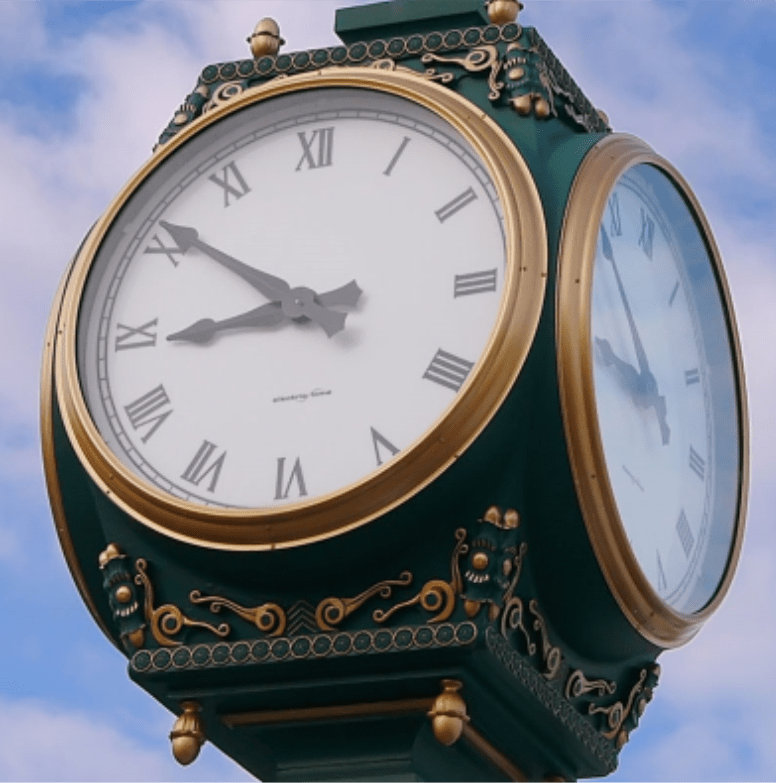 We answer all your questions and resolve problems to save you time and frustration. Supplies costs are generally not considered. Vendors often offer low monthly equipment rental/lease fees but have high supply costs. There can be up to a 29% difference in the price of ink alone, depending upon the manufacturer. CMS offers OEM supplies exclusively to ensure highest performance on your mail machine. We ship locally, which keeps costs low. These are just a few areas to consider. Comparing apples and apples when considering different mail machines/manufacturers can uncover hidden costs. Use our comparison list to help: Mail Machine Comparison Checklist. Need help finding the best mail machine solution for your business? Avoid the frustration of committing to equipment that is not want you want or need. Call us today – 303-761-0681. It’s Just a Mail Machine – Or Is It? Oh the lowly mailing machine! If we don’t have one we don’t think we need it. If we do have one we don’t give it a second thought yet it makes quite a contribution. It’s an important tool in your business arsenal, a quiet helper that can make you look smart, save valuable time and money! Just by merely using a postage meter machine, you save money versus having to buy stamps at the post office. Yes, it’s only half a cent, but it adds up over time! If you mail 500 First Class letters, you’ll save $25 without doing a thing. If you use Certified Mail with Return Receipt (remember the old green cards? ), you can save $1.40 each using Electronic Return Receipt on your machine. You’ll also have the convenience of automatically getting notified of delivery. And, no more having to store those green cards. If you ship packages, you can save a significant amount of money with Commercial Base Pricing (CBP), which provides a 13.9% savings from retail rates. 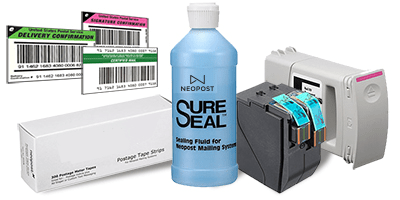 These are just a few examples of the savings available to you with a postage meter machine. Department codes help you keep track of expenditures. Knowing how much postage each department spends is important information for budgeting each year. And, department spending give you the information you need to recoup mailing costs by being able to charge-back these expenditures to customers and clients, when possible. Stamps always run out at the worst time – not so with a postage meter machine! Digital mail machines allow you to download postage in seconds. No more running to the Post Office at the last minute or needing to stand in in long lines once you get there! Mail machines automatically weigh and calculate postage for you (no more taking time to figure out what the correct rate is!). Helpful postal rate wizards make determining the correct postage easy and worry free. Any new changes the USPS makes to rates are automatically downloaded so you can be confident the correct amount will be used every time. And, Postal Rate Wizards give you the correct postage amount every time – no more guesswork! Postage meter machines provide a professional image to your customers. You can add your logo to the imprint or, better yet, a short message or offer. It’s essentially free advertising for your company! These are just a few of the benefits the lowly mail machine provides. Need help in determining whether a mail machine is right for your business and which one will be the best fit? Call CMS for a FREE Evaluation and recommendation for your business – 303-761-0681. For any general inquiries or questions regarding our products or prices, please fill out the form below. For any SERVICE related issues please call us at 303-761-0681 to have a technician dispatched or answer your questions.